Based upon two decades of expertise in handling offline recruitment tests, the company switched over to offering online recruitment solutions to bring in higher transparency and efficiency. This vertical uses the best technology available to manage timelines effectively and incorporate high-end security features in all the steps of a testing project. 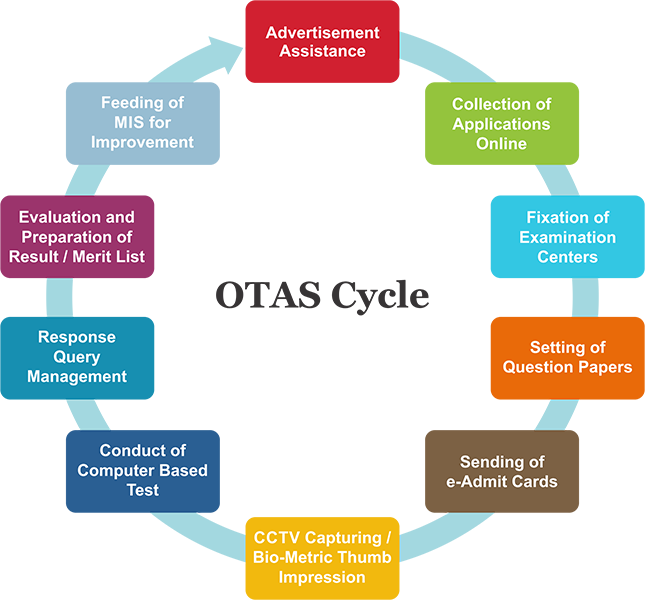 Online Testing and Assessment Services (OT AS) is the biggest vertical of EdCIL. This has received overwhelming market response, owing to which the company has conducted exams for about three million candidates in the past two years. The vertical currently accounts for 60% of revenue for the company and has a vision to grow tremendously. 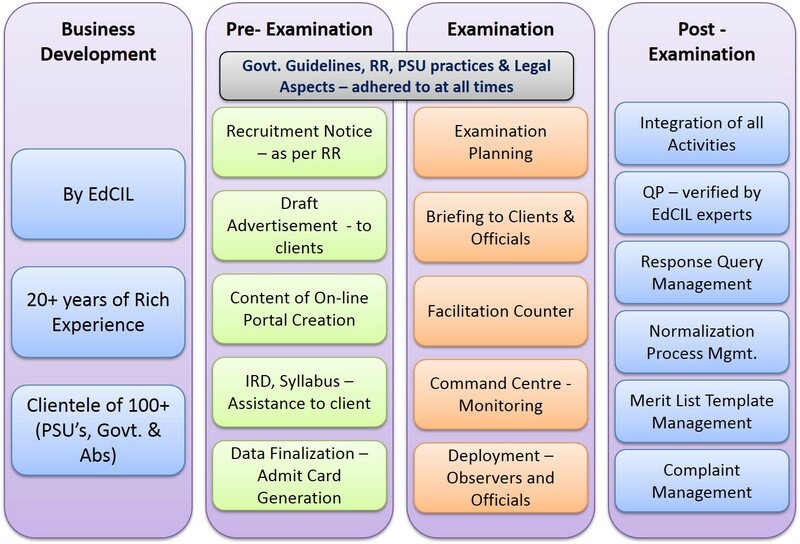 The clients include Central and State Governments, large PSUs and Autonomous bodies, etc. The vertical organizes online recruitment tests across multiple segments of employees covering varied sectors of the economy. The company has conducted a national-level examination for a reputed Maha Ratna company on a single day, in which about 4 lakh candidates appeared for the exam. This feat was achieved owing to the fact that the vertical has about 650 centres in 163 cities across the country. Being a PSU targeted towards meeting educational needs, the company focuses on organizing online examinations for recruitment of teachers & principals as a specialized service. 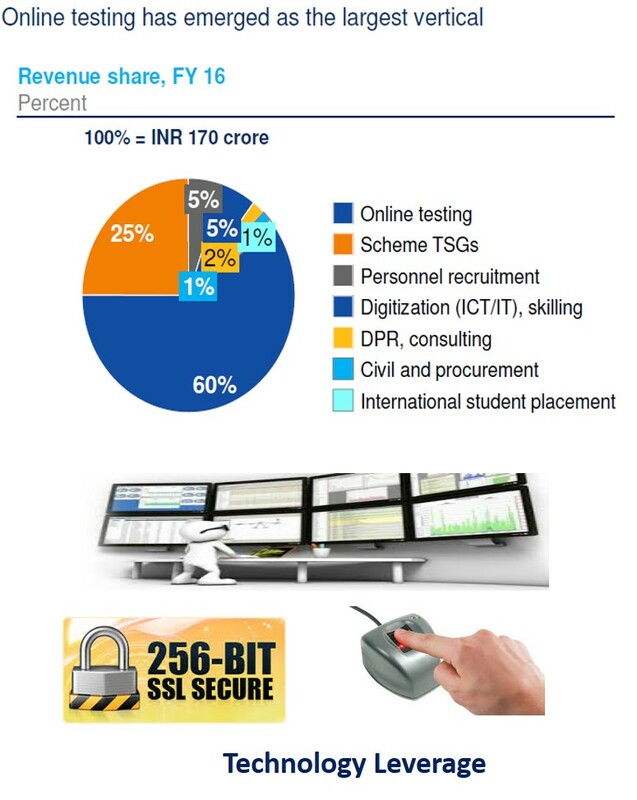 The transition has helped in increased bandwidth and has offered EdCIL with options to scale its operations like never before and undertake even more activities than it was possible before while being highly secure, effective and transparent. COMPEX NEPAL - Holding of Entrance Exam for selction of Nepalese Students for amdission in vairous courses - BE, MBBS, B. Pharma, BSc [Ag], Bsc [Dairy Tech. B.Sc. (Nursing) Etc. on scholarship basis under the scheme of Minstry of External Affaris, Govt. of India. AAI - Conduct of online examination for recruitment to the post of Junior Executive (Finance) and Manager (04 Disciplines) in Airports Authority of India (AAI). AIIMS BHUBANESWAR - Conduct of Computer Based Test / Online Exam for Recruitment to the post of Sister Grade –II and Tutor in AIIMS, Bhubaneswar. AAI - Recruitment to the post of Senior Assitant Electronics and Jr. Assitant (Fire Services) in AAI - NR. NPCCL - Conduct of computer based test for recruitment of Assistant Engg. (civil) in National Poject construction corporation limited.